In my opinion there are two types of people, those who eat to live, and those who live to eat. I probably am the second of the two. Oh let just face it, I am most definitely the type that lives to eat. It seems like my whole life revolves around what I get to make next. In my world cooking is an adventure. You have the opportunity to experiment, be inventive, or even explore a different culture all in the comforts of your own home. And this recipe was a need to satisfy my craving for some Mexican food. I saw this recipe a couple of weeks ago and was just waiting for a good time to make it, and since it was such a beautiful night, I figured it was a good night to be busy in the kitchen. While cooking I had to stop and appreciate the awesome sunset out my kitchen window. I love monsoon season in Arizona. In the evening it almost always smells like freshly dampened dirt and in the distance large storm clouds roll in leaving a blank slate for the sun to paint all kinds of amazing colors during the sunset. But back to cooking!! This recipe was really yummy and really simple. I loved all the different flavors and textures going on. And since your combining the beans, rice, and enchiladas in one dish you don’t need any accompanying sides to make this a dinner. Super comforting and delicious meal! Enjoy!! Preheat oven to 350 degrees and spray a 9×13-inch baking dish with non-stick spray. Cook rice according to package directions. 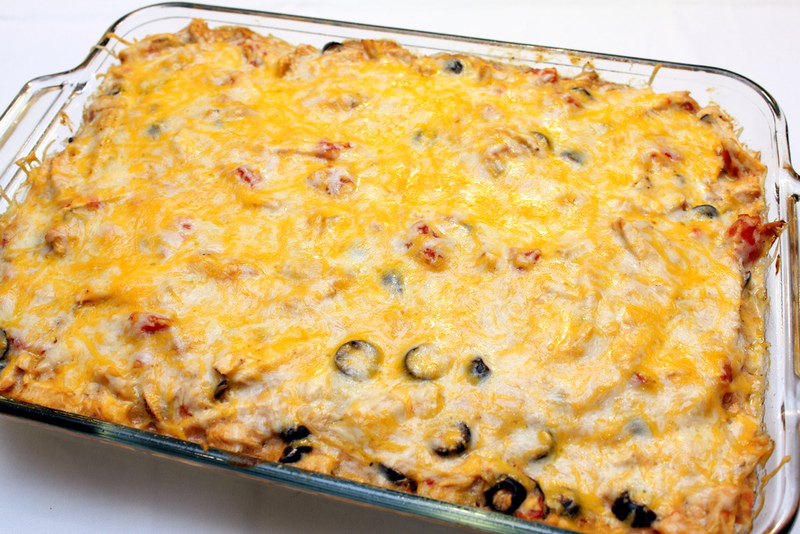 Place chicken, enchilada sauce, olives, tomatoes, sour cream, salt, pepper and cumin into a large bowl, mixing to combine. 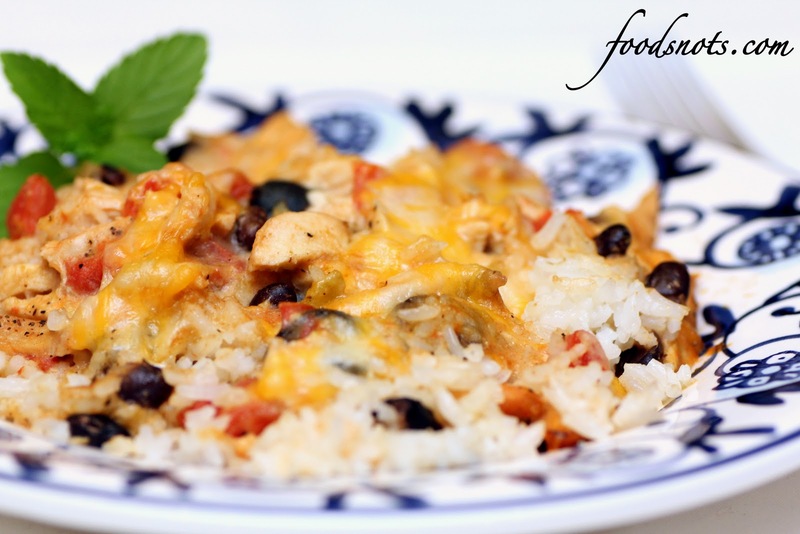 Pour cooked rice into prepared baking dish and layer beans on top of rice. Pour chicken mixture over rice and top evenly with cheddar cheese. Bake for 30 to 35 minutes, until cheese is melted and rice is hot.